Over the years I’ve encountered a lot of questions from people confused about what royalty-free music is and how it works. I’ll admit, I’ve even been confused at times, especially when I was just starting to write royalty-free music about 10 years ago. FREE – Despite the confusing name, royalty-free music is not necessarily free. I’ve described it in the past as being like the term “sugar-free”. You wouldn’t expect a “sugar-free” item at the grocery store to be free, it just means that there is no sugar in the item. Similarly, royalty-free music means that there are no royalties paid to the creator of the music when you use it, provided that you obtain the music legally (more on this later). So, What is Royalty-Free Music? Royalty-free music is music that you obtain legally (according to the creators specifications) that allows you to use it in your creative projects without paying royalties. Keep in mind, you can’t claim ownership of the music or distribute the original content. Therefore it is most commonly used in a new project that requires music. How Does Royalty-Free Music Work? Royalty-free music is often different depending on the creator distributing it. Often times there is a fee for the music. In some cases there are different fees depending on how much exposure the music is going to get. For example, you have to pay more money if your project will be played for 250,000 people as opposed to 2,500. As an example, the music in our archive can be purchased for a reasonable fee and be used indefinitely in commercial and personal projects. Some music that is classified as royalty-free is restricted (by the creator) to personal projects. That means you could use the music in a “for fun” project, but you can’t make any money with it. For this reason, you’ll want to make sure the royalty-free music you’re purchasing allows for commercial use if that’s what you need. It’s important to note that you are not allowed to distribute royalty-free music. The copyright-holder is the only one allowed to distribute it, unless they have given permission for another to do so. Of course, you can use the purchased music in your projects and distribute your projects. But you can NOT distribute that original file. Your idea to buy every royalty-free track and resell it on your own online store may seem like a great idea, but it’s a big no no. I actually thought this was true at the beginning! Creative Commons is a set of standard copyright designations that you can apply to your content. There are different levels of restriction for these. The least restrictive option is “Attribution” which allows you to edit and use the content, but you must give credit to the original creator for every use. Royalty-free can be similar depending on the license restrictions the copyright-holder places on the content. For example, they may say you can use the content and make money, but you must credit them. Alternatively, and this is how we do things at Indie Music Box, they may allow you to use the music without credit, but appreciate any credit when possible. Of course there may be cases where crediting the composer or creator is not ideal or even possible. For example, when was the last time you heard a radio commercial that says “music by so-and-so”? That said, music used in a podcast intro could easily mention the composer in a thank you at the end of each episode. There are many different applications for music, so make sure you pick the right type of royalty-free music for you! How Do I Use the Music Once I Buy It? Usually when you purchase royalty-free music, you are able to download an audio file (MP3, WAV, etc.) that you can use in your project. It’s up to you to create and edit the project using that file. If you need a specific file type, I would suggest double-checking what file type you are purchasing. You can always ask if another file type is available or use a conversion software if necessary. 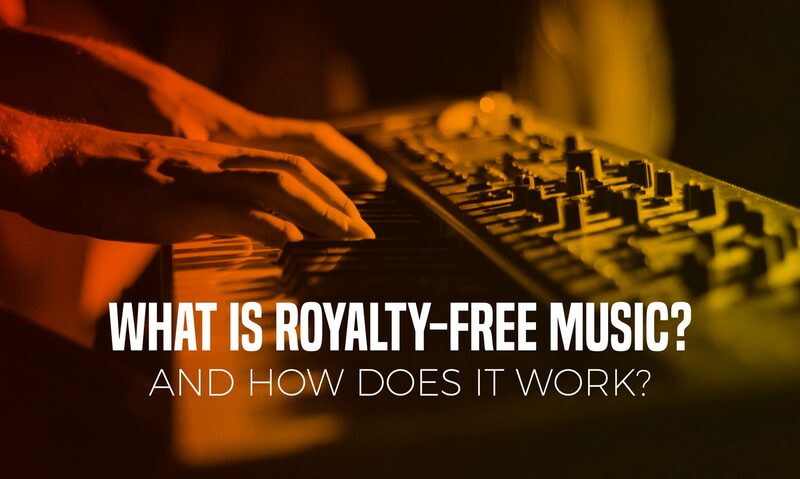 You came wondering, “What is royalty-free music and how does it work?” Hopefully your questions have been answered and you’re ready to get some music and start your new project. Feel free to browse our archives and pick out the right track for you. Get in touch if you have any more questions about our library of music. If you are still looking for more information about royalty-free stuff, I would check out this in-depth Wikipedia page.